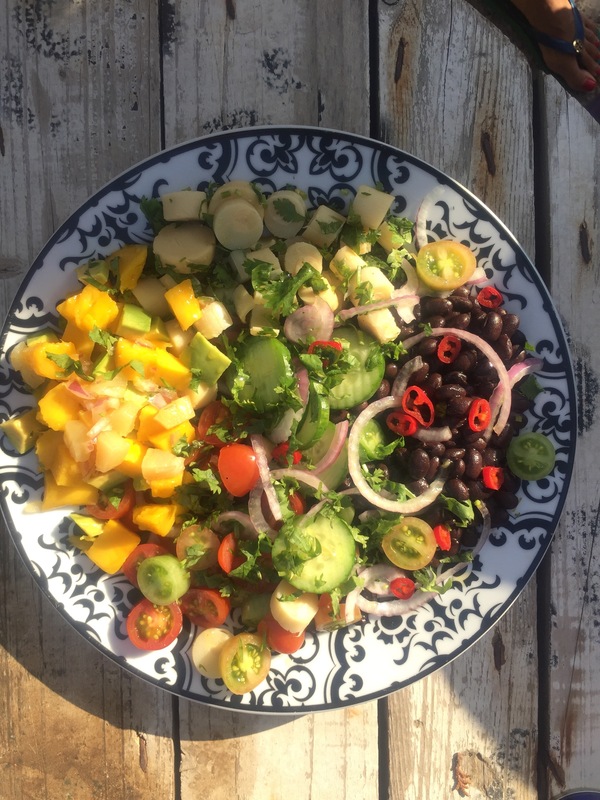 A Brazilian inspired refreshing summer salad from my Carnival Kitchen for you to enjoy preparing and eating while watching the Olympics! 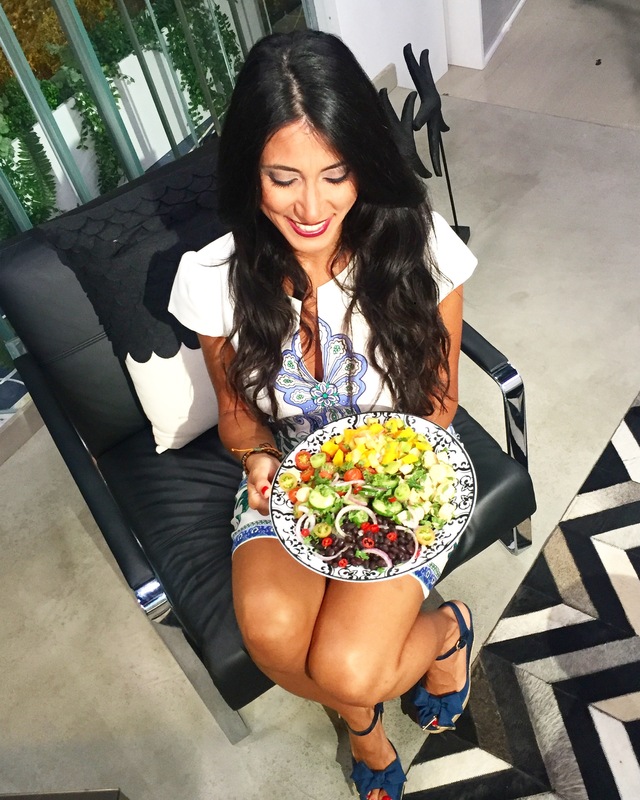 Black beans are one of Brazil’s main staple foods loaded with fiber, proteins and rich in iron, phosphorus, calcium, magnesium, manganese, copper and zinc ! Consuming beans over lunch increases satiety and reduces appetite throughout the entire day thus leading to a decreased consumption of food! As seen during my live segment on OTV, every Thursday at 9h00am..